Professor Bull is a Valpo grad. 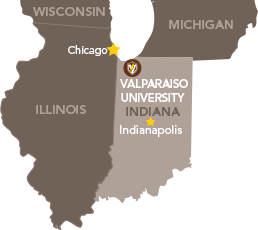 Professor Bull joined the Valparaiso University faculty in the summer of 2010 and was promoted to Associate Professor of Library Science in the summer of 2016. He coordinates scholarly communication services, which includes electronic archiving and preservation of Valpo's scholarship and creative work, as well as providing support for e-journal and conference proceedings publishing through ValpoScholar. He also assists Valpo's faculty and students with copyright and author's rights concerns. In addition, he also teaches instruction courses and is the library liaison to the Theology, Communication, English, and Theatre departments. 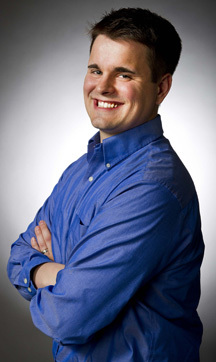 Prior to joining the faculty, Prof. Bull served as a Circulation Manager for the Christopher Center, 2009-2010. He also has experience as the Library Coordinator of the Ostrom Workshop in Political Theory and Policy Analysis, as well as an Online Library Assistant for the Digital Library of the Commons, both associated with Indiana University, Bloomington. Areas of research interest include scholarly publishing practices, institutional repositories, open access, bibliometrics, information literacy, library marketing, and student outreach. Prof. Bull’s favorite book is probably In the Lake of the Woods by Tim O’Brien and his favorite film is either Casablanca or Ferris Bueller's Day Off. Prof. Bull is a big fan of Star Trek, the Chicago Cubs, the Miami Dolphins, cooking, reading, writing, and enjoys a nice quiet life in suburbia with his wife, Christine (also a Valpo grad), their children, Maya and Jay, and their dog, Reagan.